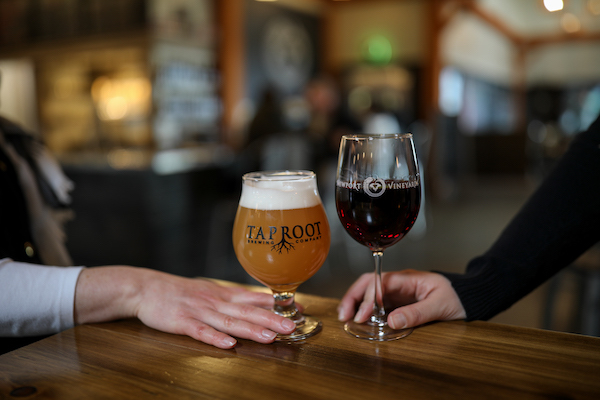 Join us in the Taproot Brewing Co. Taproom to enjoy our fresh beers or Newport Vineyards wine while enjoying live music! Flights (tastings of 4 wines or beers of your choice) are $10 on Wednesday nights! 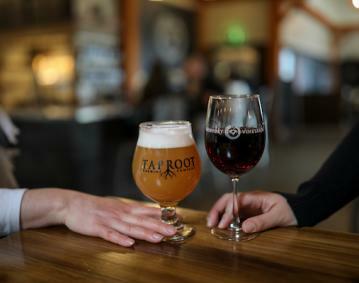 Wine and beer by the glass is also available plus light snacks from the Taproom kitchen. No ticket needed, just come by!